As the entrepreneur and event planning expert Kevin Van der Straeten highlights, "Every event makes use of equipment and apparatus of one kind or another. In general, the role of technology is increasing all the time, but its use can vary widely from event to event. Sometimes the technological wizardry steals the show. At other events, technical applications are used in a supporting role for presentations and/or performances." He also notes, "Whatever role you are planning to give technology in your own events, it is crucial to prepare well in advance. 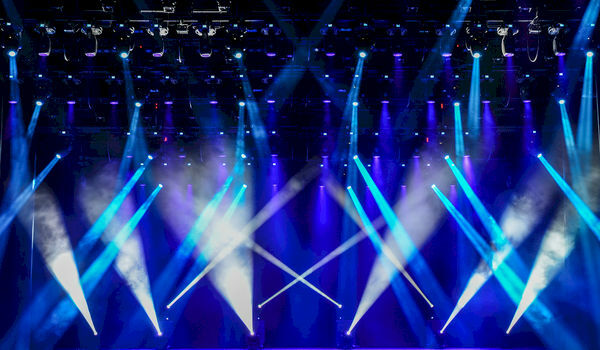 Crackling speakers, whistling microphones, badly adjusted lighting or interrupted satellite connections are all potential problems which can have a negative effect on the image of your event." Obviously, you don’t want this to happen at your event. After countless of days and sleepless nights planning every last detail of the event, the last thing you need is a problem with the speaker’s presentation or nonfunctional microphones. That’s why it’s important to choose a top-notch AV team that won’t allow these unpleasant surprises to happen. What’s the biggest red flag when interacting with an AV team or professional? Having to deal with someone who seems to speak a completely different “language” (using specific tech terminology) and doesn’t explain anything in plain English? Although you are a planner, it’s not your job to understand every single AV detail. This is especially true when audiovisual equipment technology is constantly evolving. A good AV professional or team will walk you through each piece of equipment and describe how it will benefit your event. Obviously, this is a crucial element that will play a big role when deciding who to hire. The right AV team will provide a fair benefit-cost ratio, and maybe even offer also a series of discounts in exchange for exclusivity. When having a preliminary meeting with the AV team, it’s important to pay attention how they’ll approach your event-related needs. You can figure out a person’s level of commitment and professionalism by the questions he or she asks. Is the person offering you the space to explain what your requirements are? Does he or she step in with clarifying remarks or questions? Finally, does the person ask you about things you may have inadvertently overlooked or didn’t realize you needed? All this will help you understand if you are meeting with the right AV professional or team. Another important thing to consider when briefing potential AV professionals or teams is their willingness to offer doable solutions to your issues. Obviously, you can’t ask the impossible. Everything has to be within reasonable limits. But true AV professionals know the equipment well and will always adapt their services to your event’s needs. If your event venue is not properly equipment or doesn’t have in-house equipment, the AV professionals will have to help you design the settings from scratch. The right AV team will take into consideration the seating layout, the number of attendees, the speakers’ dynamic, and other event components. They’ll also offer you different solutions and help you envision how everything will work. There’s no better way to understand if an AV team is the good one for you than by working with them. However, if this is not possible and you want to make sure you’ll get to collaborate with the right AV professionals, you’ll have to consider a series of aspects. You’ll have to see how the interaction evolves. Do the AV team representatives seem patient enough to explain their equipment’s benefits to you? Does their cost-benefit ratio seem reasonable? Will they be willing to adjust their solutions to your requirements? Are they asking the right questions? Finally, will they accompany you during the venue setup process and help you visualize the best audiovisual option? The answers to these questions will help you understand which AV team to hire and if the collaboration will be a success. Good luck! Audio Visuals are for sure an essential part of events. The best way is to look at feedback and then finalize the team.